Colorado Rockies (65-56, second place in NL West, 6-4 in their last 10 games) vs. Atlanta Braves (68-52, first place in NL East, 7-3 in their last 10 games). Freeland (7.0 IP, 6 H, 5 ER, 2 K) was dominant, but was left with a no-decision in his last start against the Dodgers. The Colorado native has been the ace of the Rockies’ pitching staff in 2018 and currently leads the club in wins (10) and ERA (3.02). Newcomb (4.0 IP, 12 H, 3 ER, 8 K) was shelled in his last start against the Brewers but has been impressive for Atlanta this year (10-5, 118 K, 3.40 ERA). Bettis (6.1 IP, 3 H, 1 ER, 3 K) was left with a no-decision in his last start against the Dodgers. Bettis has been underwhelming for Colorado this year (5.42 ERA), but is the oldest member in the starting rotation (29) and his veteran presence could pay dividends down the stretch. Foltynewicz (8.0 IP, 5 H, 1 ER, 7 K) was phenomenal and earned the win in his last start against the Marlins. He currently leads Braves’ pitching in wins (10), ERA (2.86), and strikeouts (152). Marquez (7.0 IP, 3 H, 1 ER, 7 K) was excellent and earned the win in his last start against the Astros. Marquez has a 2.90 ERA over his last eight starts and is second on the pitching staff in strikeouts with 146. Sanchez (5.0 IP, 7 H, 4 ER, 6 K) was left with a no-decision in his last start against the Marlins. Sanchez has pitched well for the Braves in 2018 (6-3, 3.07 ERA) and is 4-0 with a 1.99 ERA against the Rockies in his career. 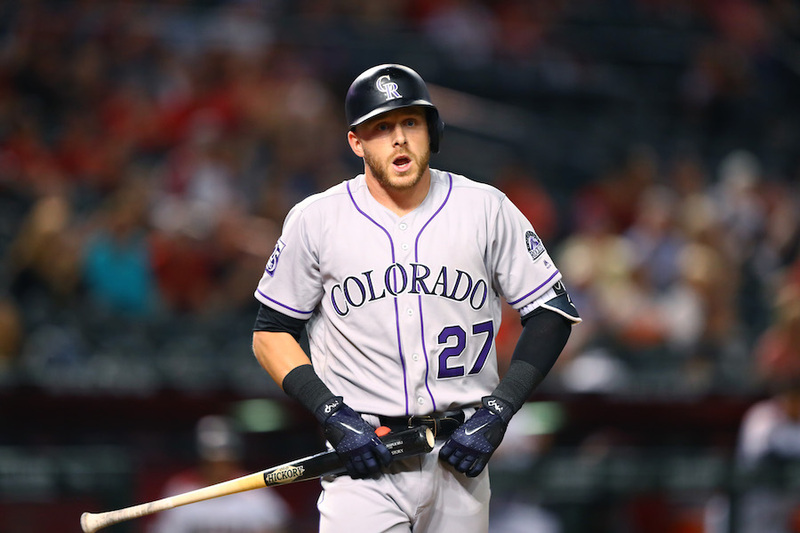 Trevor Story has continued to stay hot at the plate, despite having his eleven-game hitting streak snapped on Thursday, and has been one of the most consistent hitters for Colorado in 2018 (.289 BA, 25 HR, 83 RBI). Ryan McMahon was the hero for the Rockies against the Dodgers last week (2-8 H/AB, 2 HR, 5 RBI) and has been terrific since the All-Star break (.293 BA).